Surrounded by mountains, forests, rivers and lakes the Gunnison Valley was home to the ancient Ute Indians. 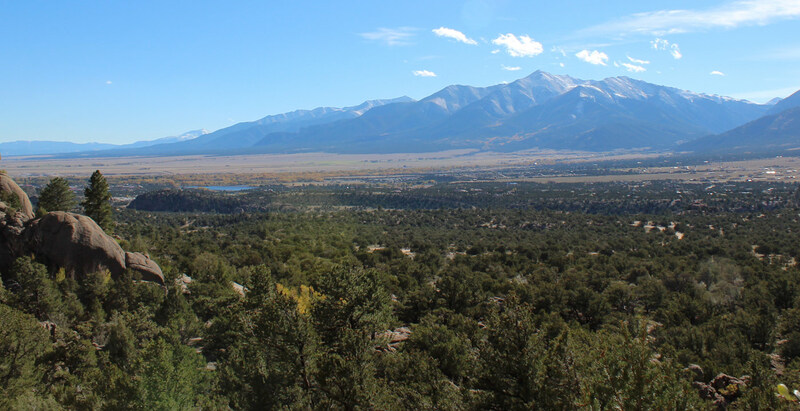 Now this rich ranch land and old mining area in the Curecanti National Recreation area offers unlimited things to do for outdoor enthusiasts year round. Whitewater rafting, kayaking, superb fishing and boating, hiking, biking volcanic peaks or testing your rock climbing skill against a 2,000 foot wall in the Black Canyon – a breath of what awaits you in Gunnison. Add to that the spectacular views and the hospitable people, and you might end up extending your vacation to become a permanent fixture in this beautiful and historic area.